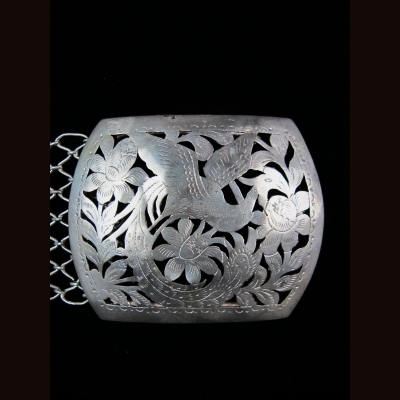 Antique silver buckle with belt with hornbill design. 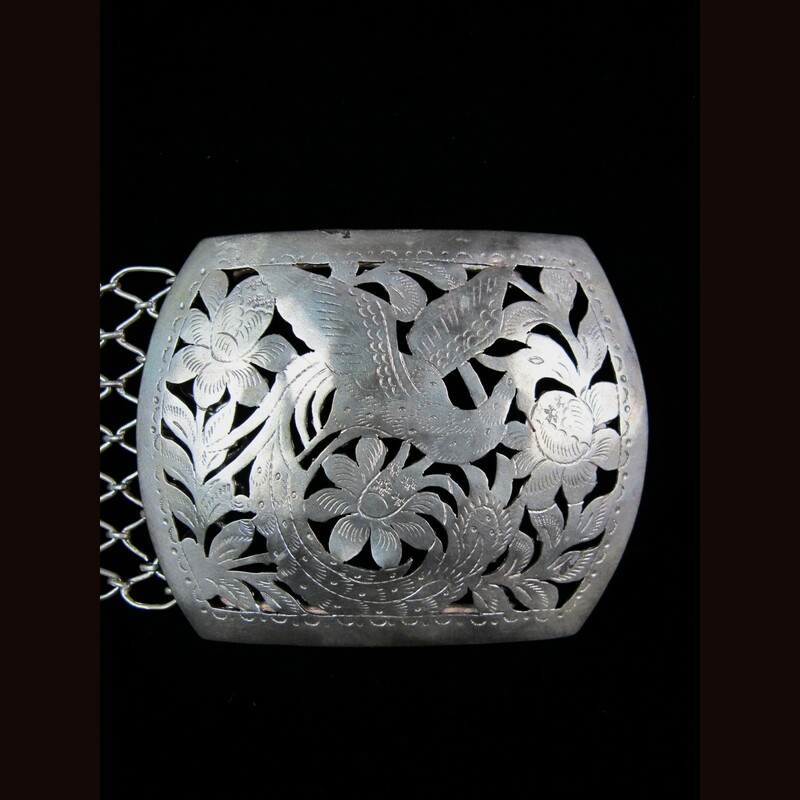 This belt is used by the Dayak people of borneo since the 1700 and are mostly produce by Chinese silver smith . This belt are only worn by aristocratic family and are a form of their wealth .There are also kept as heirloom and are used as bride payment for marriage.